In case this election wasn’t already infuriating enough, here’s something that’s really going to make your blood boil. With hours to go before polls close, voter watchdog groups across the country are reporting that many laser tag establishments are staying open today. This is seriously alarming news. 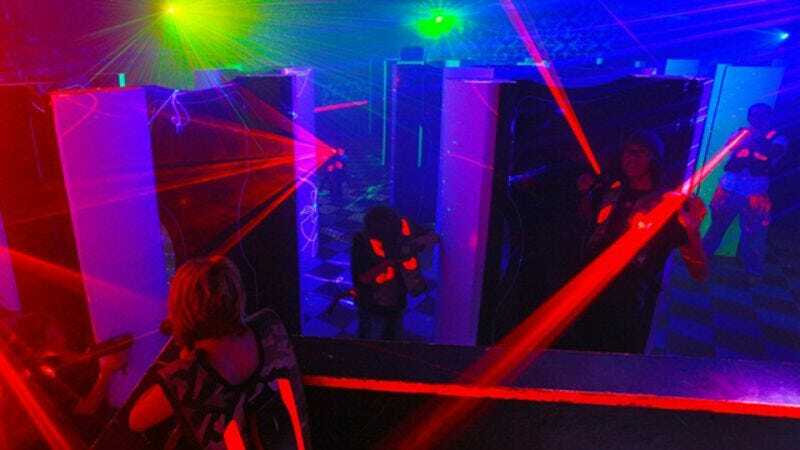 In what appears to be a concerted effort to prevent Americans from casting their ballots on time, dozens of laser tag locations are keeping normal business hours on Election Day, inviting one and all to enjoy nonstop laser tag action with all the coolest terrain and equipment. George Washington is rolling over in his grave right now. According to Leanne Holst, spokesman for the watchdog group Voter Vigilance, laser tag may only be the tip of the iceberg. Below, via Voter Vigilance, is a partial, ongoing list of laser tag places that have not closed for Election Day, and several with the sheer audacity to offer off-peak, daytime discounts. If you know of a laser tag place in your district that remains open today, do not be silent. Post their names and pictures in the comments so that we can put a stop to this assault on democracy before any further damage is done.